Artist who illustrated catalogues etc for mainly the Rootes Group but also worked for other manufacturers. Some of his work was sold by Onslow's auctions on the 31st March 1999. This biography is taken from the sales catalogue L.A. Wise [Leslie] was born in Windsor, London in 1921. 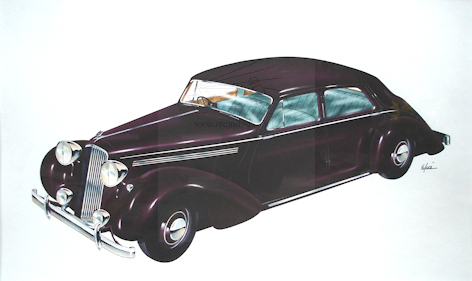 He attended Harrow Arts School and his father who was service manager for Humber Cars at Chase Road in Acton created the opportunity which lead him to joining the Rootes Advertising agency in 1937 as an artist illustrating catalogues and manuals. During WW11 he served in the Fire Brigade and at the end of hostilities in 1945 he re-joined Rootes. He left Rootes in 1947 to start up on his own as a freelance artist specialising in car work. Then in 1951 he returned once more to Rootes now doing all their catalogues. When Rootes bought Singer Car Company Les was one of the first to visit to study their plans. When the Chrysler takeover occurred in 1968, Les found the responsibility for TV commercials and advertising being added to his job. Takeovers were part of his life and when Talbot came on the scene. Les was brought back from semi- retirement to oversee the new catalogues. 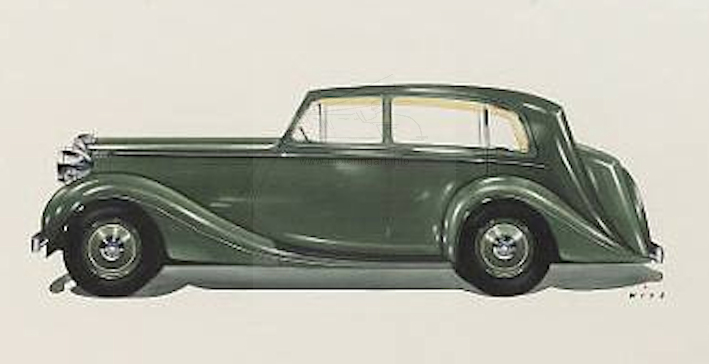 Leslie went on to illustrate for Jaguar and Daimler, and once you have seen his style of work, it is at once recognisable. He set up his own company, Thurlaston Graphics to do the photographic work and only retired in 1993 aged 73. 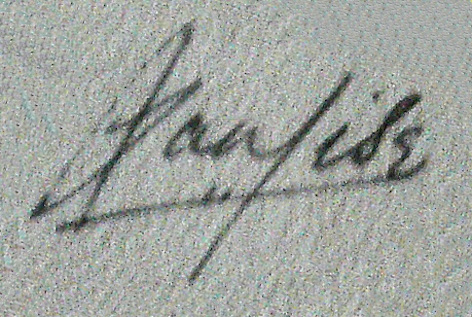 A variety of signatures has been seen ranging from an upper case WISE, often a script Wise and more unusual script L a Wise which is difficult to initially recognise as shown in attached image.